Valentine's Day Sweets for my Sweet! Yesterday, I overheard women talking about how Valentine's Day isn't really a two-way street, and everyone is familiar with those Valentine's Day haters who say that it is just a greeting card, commercial holiday. Well, I'm here to say that I love love and I love expressing love in new and unique ways, especially to my favorite Valentine ever, Alex! 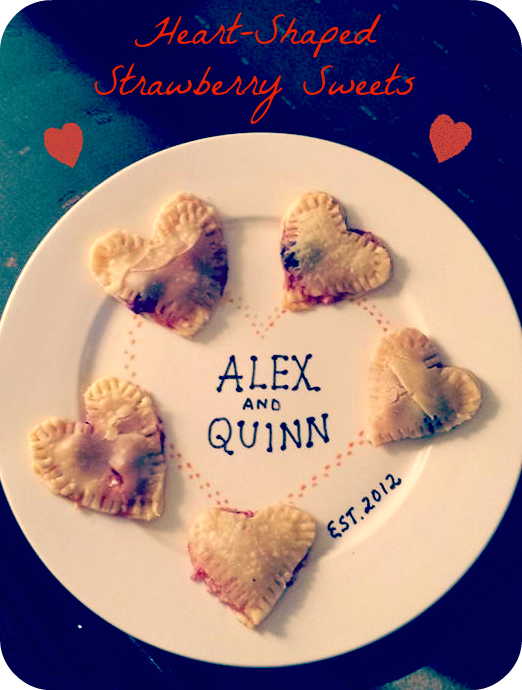 Thus, I created these cute, little heart-shaped pastries to express my adoration and gratitude.